Celebs Style: Rappers Wearing Camo Pants [WHO ROCKED IT THE BEST]? Music mogul and successful business man Jay-Z was spotted in Paris, France, wearing a green pair of camo cargo pants. Jay was also rocking a G-Star Slim “Taylor” Denim Jacket, Persol 649 sunglasses with a pair of Adidas Originals Superstar sneakers. Watch The Throne is now platinum. The album’s second single “Ni**as in Paris” recently reached No. 1 on Billboard’s R&B/Hip-Hop Songs chart. According to Billboard, “Ni**as in Paris” is Jay-Z and Kanye West’s first No. 1. “Watch the Throne’s” lead single, “Otis,” peaked at No. 2 on R&B/Hip-Hop Songs in September. YMCMB rap sensation Drake was spotted wearing a pair of camouflage pants, grey army crewneck sweatshirt and a pair of Tom Ford Bachardy sunglasses. Drizzy was also rocking a pair of Nike Air Jordan retro 6 white/varsity red sneakers. Drizzy’s latest LP Take Care debuted at #1 on the Billboard 200 chart, selling over 659,000 copies in the first week. Take Care features collaborations with Lil Wayne, Nicki Minaj, Rihanna, André 3000, Rick Ross, and more. 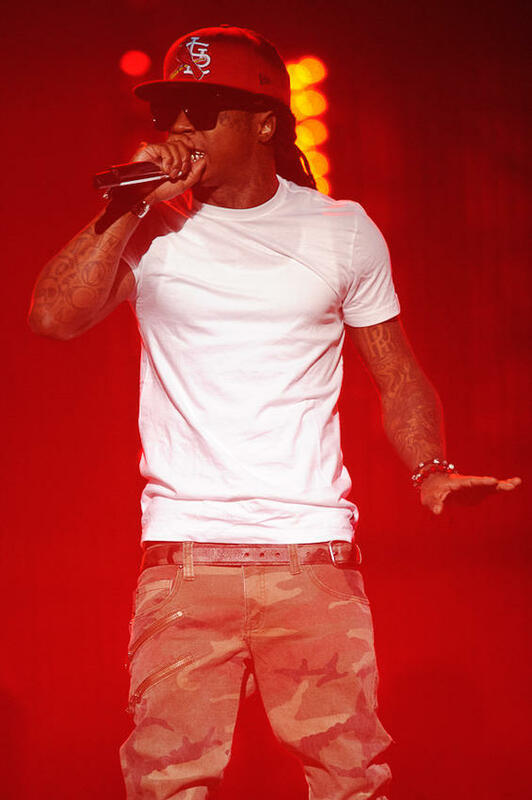 International rap superstar Lil Wayne was seen performing in a pair of Tripp Camo Double Zipper Pants. Weezy was also wearing a St. Louis Cardinal fitted cap and a white tee-shirt. After 3 months of being released, Lil Wayne’s Tha Carter IV has reached the two million mark (double platinum). The disc sold over 964,000 copies in the first week. Chi-Town’s political rap artist Lupe Fiasco was spotted at the Strivers Row store in Atlanta. 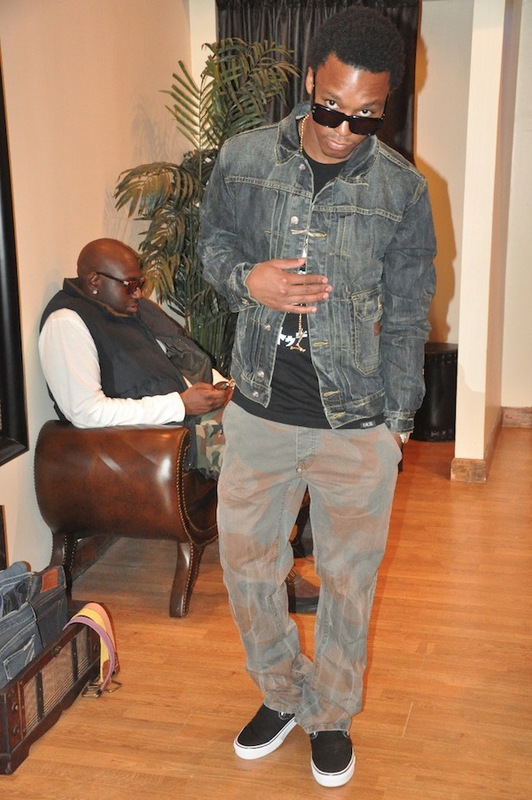 Fiasco was styling on them lames in a pair of Strivers Row light camo jeans, Strivers Row Denim Jacket and a pair of Vans. 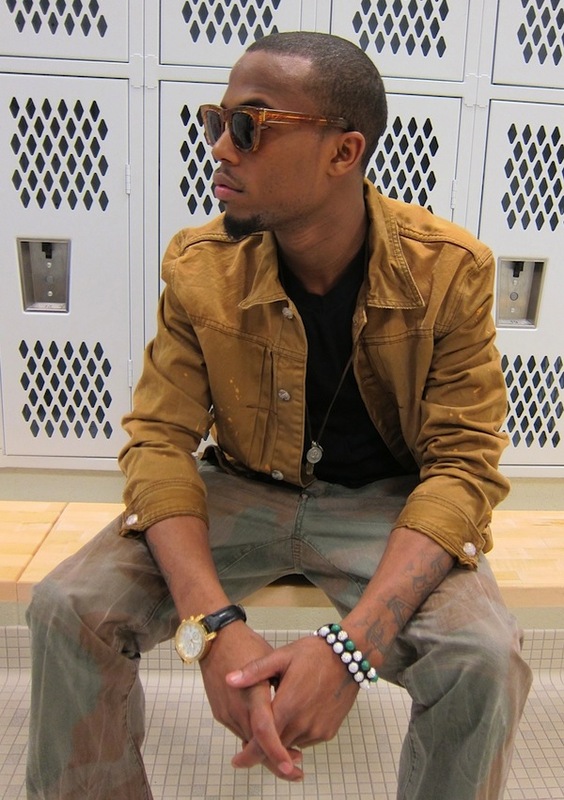 Grand Hustle’s rapper B.o.B performed at York College in PA. He was wearing a Strivers Row pair of camo pants with the matching jacket, which has a mustard brown color with splattered paint detail. Comments Off on Celebs Style: Rappers Wearing Camo Pants [WHO ROCKED IT THE BEST]?